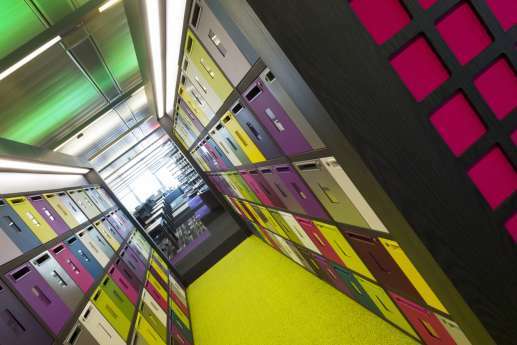 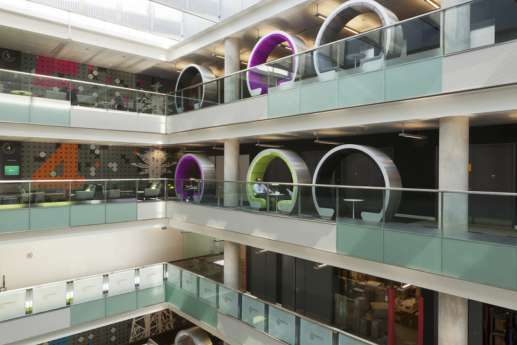 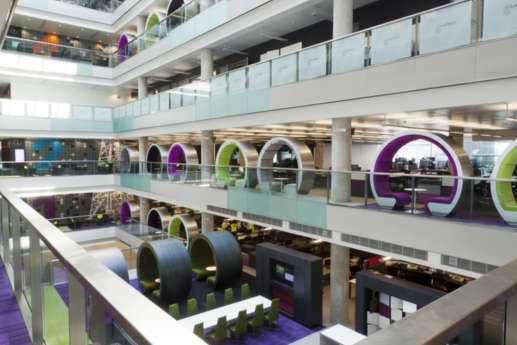 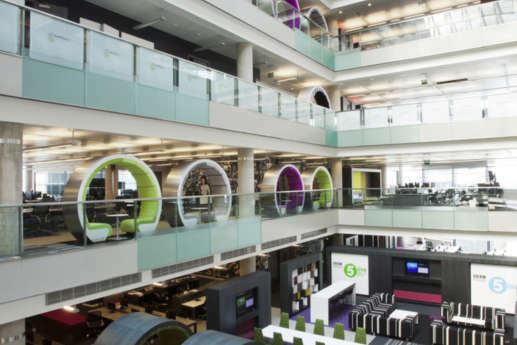 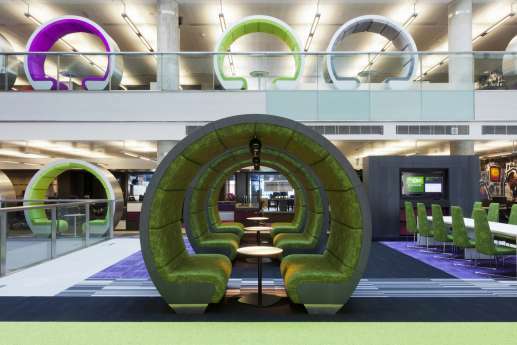 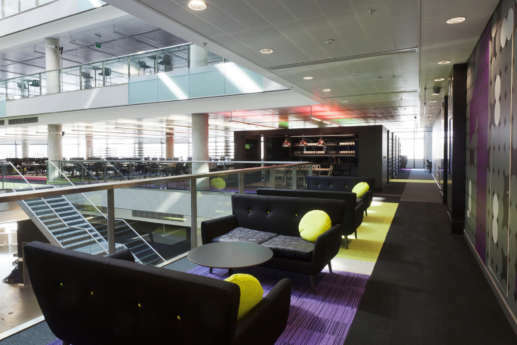 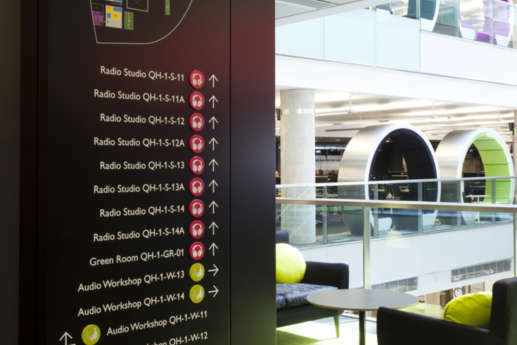 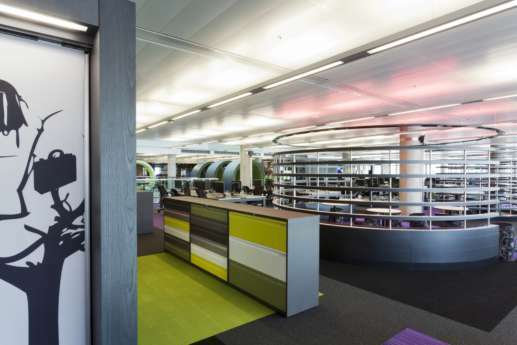 We team up regularly with the BBC, fitting out and refurbishing offices and studios across the country, including at Media City, Salford. 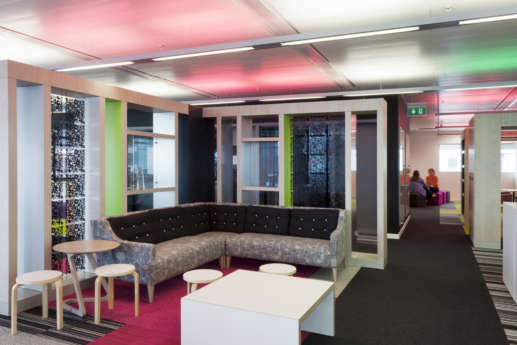 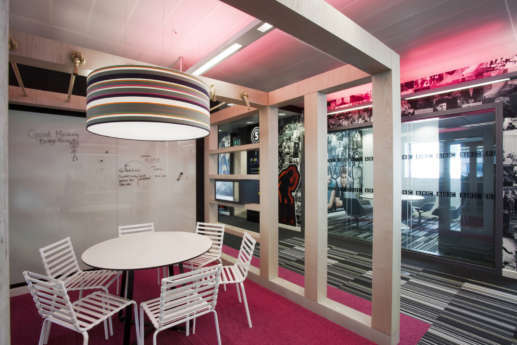 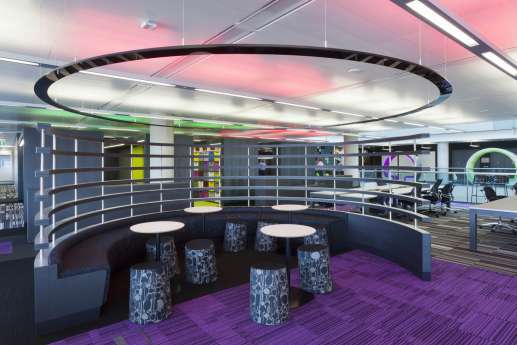 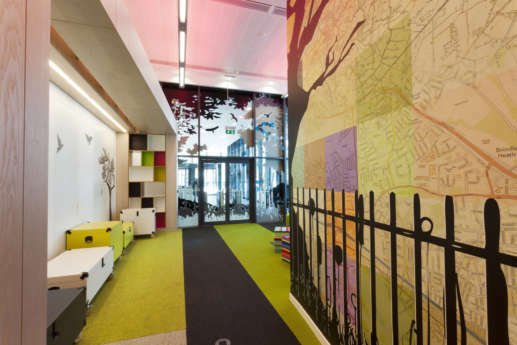 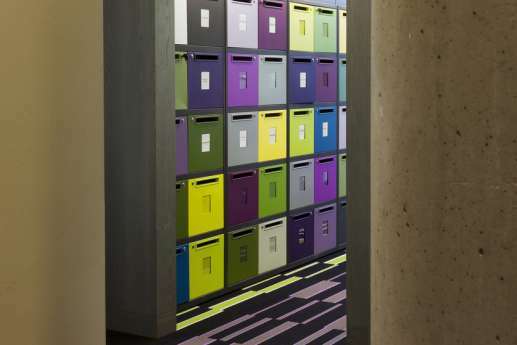 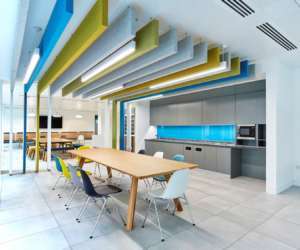 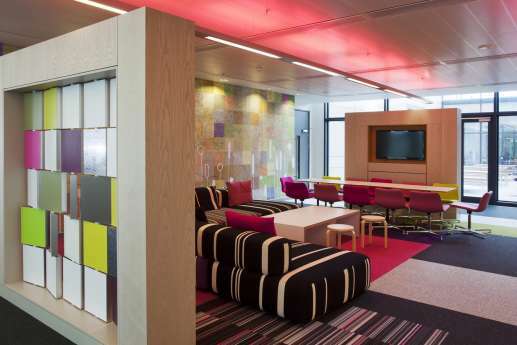 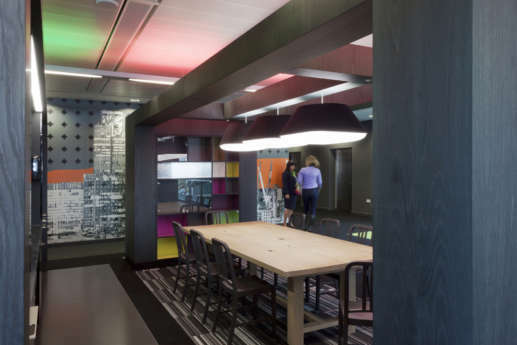 This time we worked with the project team to produce a spectacular, colourful office environment for staff to interact and work with each other. 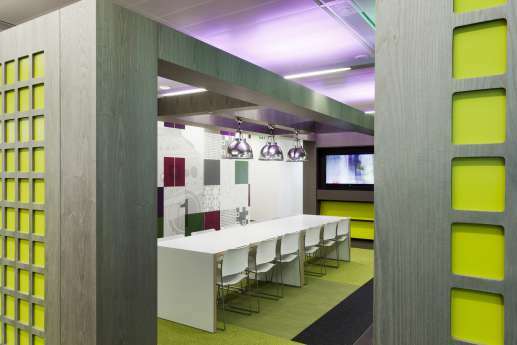 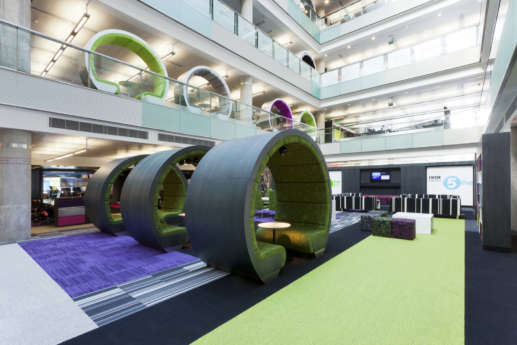 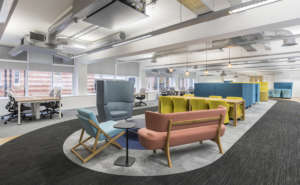 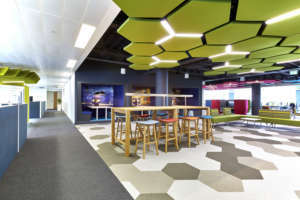 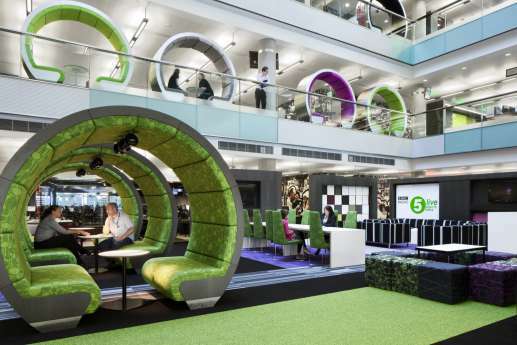 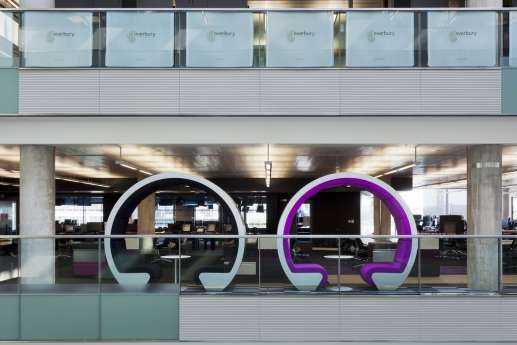 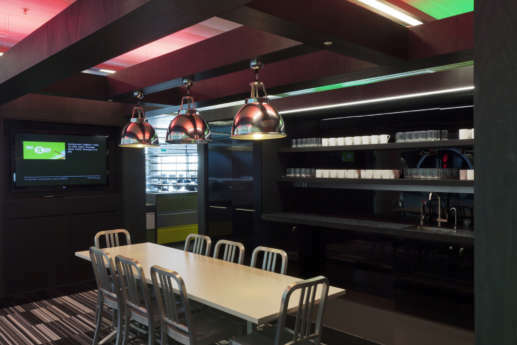 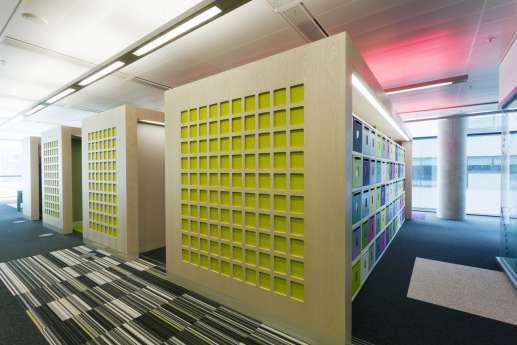 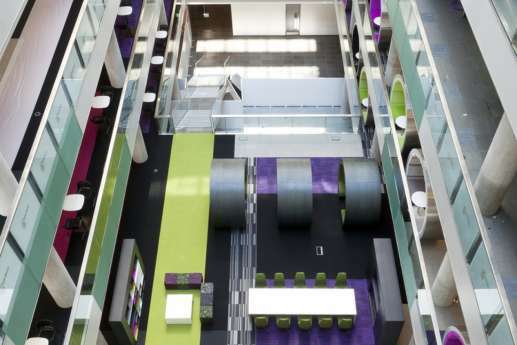 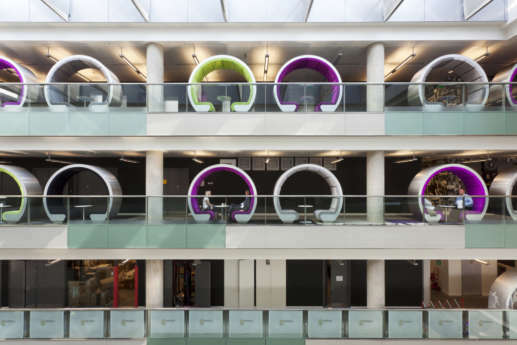 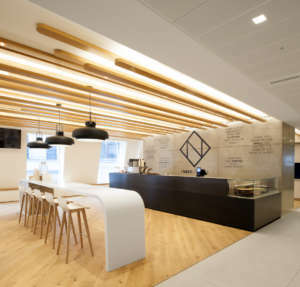 We fitted out three buildings, covering 380,000 square feet over 20 floors, to provide a home to 37 departments, including two live studio spaces, breakout areas and semi-private meeting spaces. 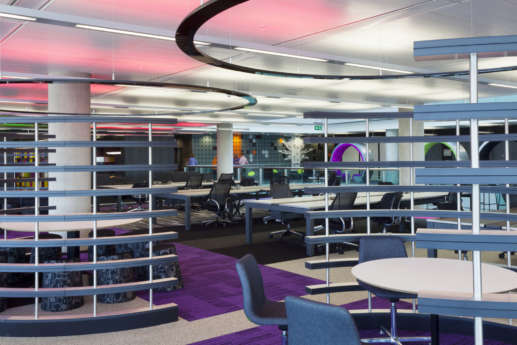 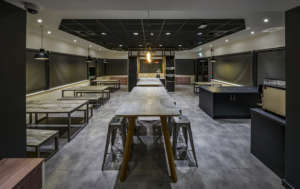 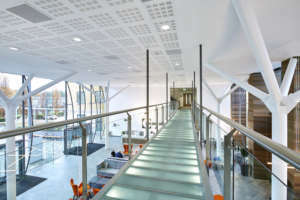 The project also included installing over 150,000 feet of cabling and over 220 pieces of joinery – quite an achievement given the relatively short time frame. 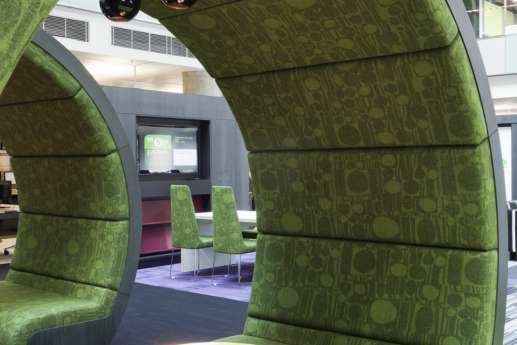 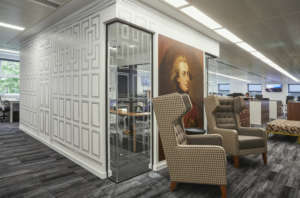 We also installed bespoke statement chairs and textiles designed by local students and manufactured regionally. 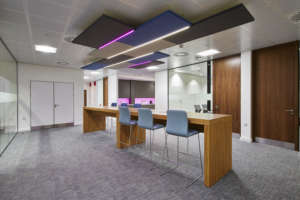 Take a look at the images below to view some of our work.